Battle Other Players for Resources, Territory and the Glory of Your Empire! It is said that the history of nations and empires cycles between eras of war, peace and revolution. You can guess where things will be situated in Age of Warring Empire. You will assume the role of an emperor to a newly christened empire in the Middle Ages. It will be your God-given duty to guide its growth and expansion. You must set up buildings, extract natural resources from the world, train soldiers, and wage terrifying wars using your strategic might. Take care that you don’t get overwhelmed. There are many overlords in the world, all of whom are backed by cunning human minds. Staying at the top is going to require great strength of arms and complete tactical mastery. Will you be the one who writes the history books, or will you be reduced to a mere footnote? The only way to find out is to step up. Every empire needs a capital city. You need a foundation to build upon, a symbol to show the world your strength, and a place to keep all of your stuff. Build your empire’s capital city column by column and plank by plank until you have a wondrous place that will be the envy of the world. Whatever you call your city, all roads will lead to it. Acquire and carefully manage several natural resources, including food, stone and wood. Build farms, quarries, sawmills and so on to take resources from the environment. Store excess resources inside a warehouse. Construct barracks to train and house soldiers. 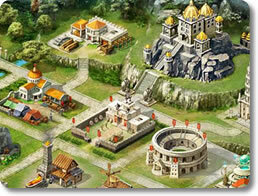 Put up defensive measures like guard towers to protect your city from barbarians and other warmongering players. Keep your people happy and entertained by hosting gladiatorial battles in the coliseum. Upgrade your buildings and facilities to improve their yield of production. 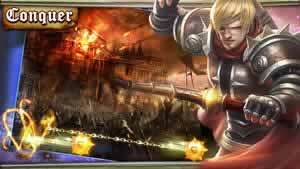 Hire heroes to lead your troops into battle. Just like in the real world, you’re not the only big player in town. 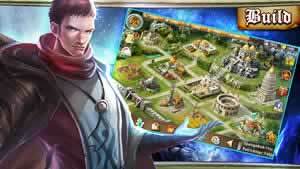 Lots of other players are out there, forging their own empires in the savage online realm. A lot of them are incredibly dangerous and will give you nothing but grief. Others might come in useful, even if they are not entirely trustworthy. If you want your empire to flourish, then you must know when to enact diplomacy and when to declare war. Go onto the online marketplace to trade resources you so desperately need with other players. Make alliances with any player that accepts you. They will help you defend your territory while supplementing your army with more troops. Attack other players. Destroy their buildings, wipe out their soldiers, and take their resources for yourself. When you get started with Age of Warring Empire, you will come to learn that it’s good to be the emperor. You can build your empire in whatever way that you choose, allocate its resources in whatever way that you like, and treat your neighbors in whatever manner that they deserve. You can trade with them, join forces to fend off powerful nations that threaten your sovereignty, or crush those weaker than you under your mighty foot! If this kind of grand strategy game appeals to you, then put on the crown and enter the Age of Warring Empire!